YouTube #HashTag Update 2018 | How To Use #HashTag On YouTube To Rank Your Videos | यूट्यूब में "# हैशटैग" क्या है? - Technical Mahaur - Learn Something New Everyday in Hindi! Home YouTube YouTube #HashTag Update 2018 | How To Use #HashTag On YouTube To Rank Your Videos | यूट्यूब में "# हैशटैग" क्या है? 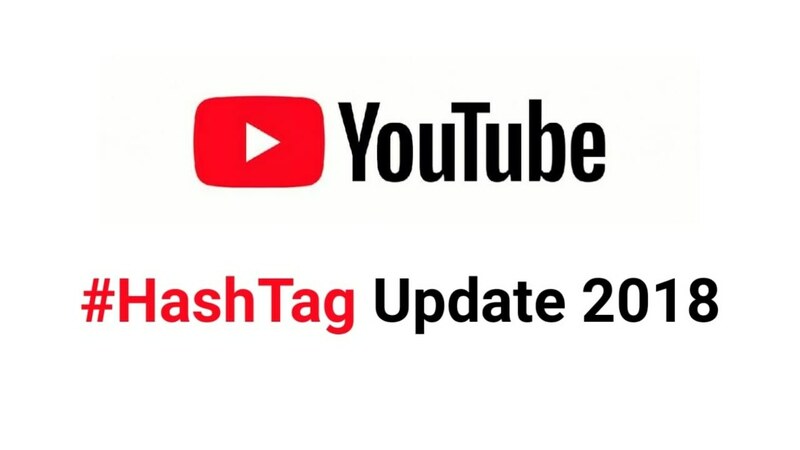 Youtube sabhi content creators (वीडियो निर्माता) ke liye “YouTube #HashTag Update 2018” new update (नई अपडेट) laya hay in year (साल) me. Yea update Tag ka tara hi hay, jisko hum video ke tags me use karte the. Likin youtube ke “#HashTag” update kuch different (आलग) hi hay, inko use karne se aap ke video ke rank-up (पद बढ़ना) jaldi hoga. What is #HashTag? Tag ek keyword hay, jis se hum video ko rank karte hay/SEO karte hay. Agar Tag ke pehale # use kare to usko #HashTag bolte hay, yea ek Hiperlink (हाइपरलिंक) hay. Agar koye iss link pe click kare to, link keyword se related videos youtube me show hoga. Tag me hum long tail sentence (लंबी वाक्य) use karte hay (ex : make money online), likin #HashTags me Space allow nehi hay only ek keyword use hote hay # ke baad. Aap log video publish karne ke time Tags & #HashTag dono ko hi use (उपयोग) kijia. Likin #HashTag use kar ne ke kuch RULES (नियम) hay. #HashTag aap ke video ko Google Search engine me Quick search (जलदी खोज) karne me help karte hay, yea information (जानकारी) Youtube ne officially apne page me publish (प्रकाशित) kiya hay 24 July 2018. Iss liye aap ke video ke topic ko hi #HashTag per use kijia. 1stly, As a Youtube viewer’s app youtube ke search me agar #HashTag type kare to, Iss se inn Topic ke uper sabhi content creators (वीडियो निर्माता) ke video show ho jaya ga.
2ndly, Aap kisi ke video ke bottom (नीचे) per #HashTag link per click kijia, inn se vi yea topic ke uper related videos (संबंधित वीडियो) aap ko show ho jayaga. How To Use #HashTag On Video? 1. Video Publish (प्रकाशित) karne ke time Video ke TITLE (शीर्षक) per last me ek #HashTag ko use kijia. 2. Agar aap Title per #HashTag nehi use kiye too Video ke DESCRIPTION per 3 #HashTag use kijia. Description per 3 #HashTag ke andar sab hi #Tag automatically (खुद ब खुद) video per show (प्रदर्शन) hoga. Agar aap video ke Title per #HashTag use kare too, description ke #HashTag show nehi hoga. Yea mere suggestion hay ke aap Video ke Description per #HashTags use kijia, Title per bohut keywords rahate hay. Aap Title per long tail keywords use kijia SEO ke liya. 1. Ek video per 1 or 2 #HashTag use kijia, Over-Tagging (ओवर-टैगिंग) maat kijia (Not more than 3 | 3 से अधिक नहीं), kiuke 3 #HashTags se jada tags Video me show nehi hota. 15 se jada #HashTag use karne se Youtube aap ke video ke RANK-DOWN (रैंक-नीचे) kar sakhte hay & Video REMOVE (हटाना) vi ho sakhte hay. 2. Koye vi #HashTag ke, body me 1st# use kijia uske baad without SPACES (जगह के बिना) Topic ke name dijia “#TopicName”. Aap ke video per #HashTag use karne se video ke bottom (नीचे) per ek LINK create hota hay. 4. #HashTags per misleading (भ्रामक) or, unrelated (असंबंधित) content use maat kijia, jo video ke Topic (विषय) se alag hay. Kiu ke wrongly (गलत तरीके से) use karne se, aap ko Community-Guideline-Strike mil sakhte hay & video vi delete ho sakhte hay. 5. Long Tail sentence (वाक्य) #HashTags per use maat kijia. 6. #HashTags per Sexual words (यौन शब्द), Vulgar words (अश्लील शब्द), Harassment (उत्पीड़न), Hate speech (द्वेषपूर्ण भाषण) words nehi use hona chahiye.